Thanks guys for all the positive comments on my dress! I really, really like it too. It is hanging in my closet and I can't wait for my husband to get home from hunting so we can have a date night! I gots to find me some silver shoes.
. . . I am impressed that you can do BWOF with no pics. Can you give me any hints? I am about to try my first BWOF pattern. Rachel -- Check out this link for Burda. 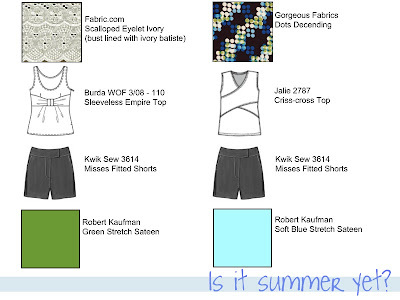 This is where I put all the tips/suggestions for using Burda patterns. I add to it every now and again. Wow! Looks beautiful on you. Do you have some place special to wear it? Kasizzle -- Not yet. I do have a wedding this summer so I'll probably wear it to that function. But, my DH and I are long overdue for a "no-kids" dinner. ETA: So I have already changed my fabric choice. Mostly because I like this eyelet better. I plan to use the decorative selvage as the bottom of the shirt. The new one is at the bottom of this post. I think I'm going to enter this contest too. Mostly because it motivates me to keep going on a project. That, and I had so much fun cranking through my last wardrobe. A mini-wardrobe is all I need for an Alaskan summer anyway, sigh. Here is what I have so far. And again. This is the new one. It's done and I love it!! The full review is on PR. I had to take a couple of pictures outside because this fabric gets so shiny with the flash. The outside ones turned out really nice. The hem. This is called a knife-edge hem. You turn your hem and sew 1/4" from the edge, trim all the fabric away, and sew another 1/4" hem. With black shoes. I think I will buy strappy silver sandals. I've been looking at Zappos.com. My button and tube. I wish I could have gotten the tube thinner. Back with really bad lighting. Front pleats. I love all the details. The slit at te front. It does go pretty low but it is still conservative because the slit remains closed, mostly. My cuffs. You where suposed to cover all raw edges by folding the band inside and topstitching but I like this better. I really like these shoes. First off, what the heck is up with our weather? We have had beautiful weather the last week or so. The snow was all gone, my rhubarb is almost a foot tall, my perennials are all green and happy. 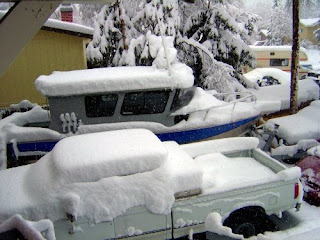 Well yesterday we recieved about 2 feet of wet, white stuff. I'm refusing to say the "s" word. I work in a school that is high up on a hill. Well, Friday afternoon the buses couldn't get up the hill so we were stuck with ALL 900 7th and 8th grade students. How fun does that sound on a Friday afternoon?? By 5pm most of the students were gone so teachers were able to leave. This is the view from my front window. Yes, we have a big boat in our driveway. And a big truck to haul it around. 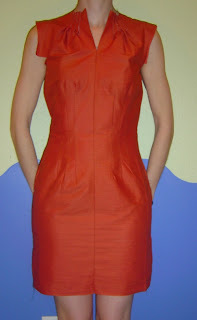 Ok, here is my progress so far on the Burda dress. I am almost done. I just need to finish the other sleeve, bind the neck, add the button loop, and hem it. The sleeves are very puffy. It is going to make me look like a line-backer. The slit is closed with a pin so it is probably crooked in the photos. This is hard fabric to photograph. It is so shiny you can't see the details. I didn't even try to match the pattern on the back, maybe I should have. I didn't try on the front either but it seems less jarring. Thank you, thank you, thank you Karen and Paula for insisting that I make a muslin for the dress. I graded it down to a 36 and wow. Saying that the hip area is tight would be a grave understatement. I will not even take a picture of this. Maybe I'll show the muslin after I let out the side seam. ETA: Here is the front an back after I did the smallest possible seam allowances possible. When I do the real one I will add more to the hip area. Lots more. Maybe two inches on each side? I know it sounds like a lot but I just let out an inch just now and you can see it is still pretty snug. The chest area will need to be taken up about a 1/2" in the front and the back. I didn't do it already because I wanted to double check. I pressed the zipper open because the fabric kept getting stuck in the metal zipper. I use the same zipper over and over again for muslins. And no, it will not be this short. I just didn't have enough of this cotton fabric to make it the full length. So I haven't traced, cut, pre-washed, or anything but I'm excited about my next project and just wanted to share. I am working with a polyester silky fabric. Would it be called a charmeuse? I'm very new to this type of slick fabric so this project will be challenging for me. I am being wild and am not going to make a muslin first. I am a crazy woman. Someone stop me. Here it is closer so you can see detail. Step one is to trace the pattern. I am out of paper so I will have to trace tomorrow or the next day. After that, it will be a couple days of sewing. I know to use an extra sharp small-gauge needle. Do I try to starch it to make it less slippery? Any other tips for working with something like this? 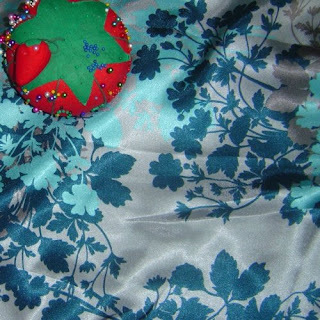 I eventually want to make something in the One Fabric -Silk contest but want to work with this type of fabric first. 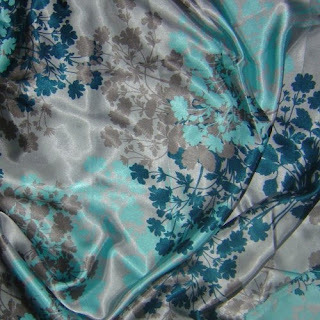 I would like to do some flow-y top using silk charmeuse. It WILL be spring someday. When it finally is spring, I'll be ready. I really like these shorts. They were fast to make and fit well. This is THE BEST fly I have ever made. Kwik Sew has the best directions! The next pair, I'll probably take off another inch off the hem. Here are a few more pictures of the actual garment on the real model instead of on me or on the floor. I think I will try making this pattern for me out of ribbed sweater knit. I'm not sure how that will work but I'm going to try it. I'm sure I will have to reinforce the cuffs, neck, and hood. Next time, on the kid version, I will use elastic in the hood. I decided not to thread anything in the hood because I did not want any strangling-hazard next to her neck. If I put elastic in it, I think it will work better anyway. Next on my list is KS 3614. Yes, we still have snow but my sheer will that it will be spring soon should be enough to make it warm. I have already cut and sewn the muslin. It looks like a S with no alterations will fit perfectly. I am making either the 2" or 5" inseam, I can't decide. I may make them just a bit longer than the 2". Still deciding right now. Now, onto the real fabric. I am using either a stretch dark wash denim or a stretch sateen bottom weight. 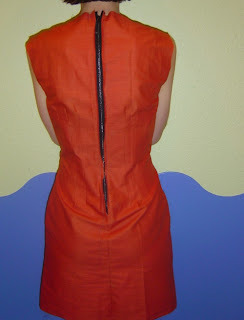 I am toying with the idea of putting pockets on the back. This is the best directions for putting in a fly I have seen. It is better (IMO) than the Betzina (sp?) video in the Threads website. I think people should get this pattern for the fly directions alone. So easy and great finished product. Full review coming soon at Pattern Review. This is my weekend project for my husband. This is his so it is huge on me. I made him the size Y which is women's size 18. I went up a few sizes for his chest measurement because I didn't want this to be too tight around his shoulders. He was working on the boat and didn't want to get it dirty. So, I am standing on a ladder so he can take a picture of me. Neither of us like the GREEN color but it came in the grab-bag from Wazoodle. Here is the front of the envelope. I guess this is a pattern that is OOP. I have never seen it before and PR doesn't have any reviews on it (they have several reviews). I saw it on the Classifieds and bought it. I love Jalie patterns and this would be a great staple for my kids and family. I am planning on making another one in the smallest size to see how it works out. On the next Husband-version, I will make the pockets larger. You can see on the model photo how they look small. I will probably never make the collared version but I love the hoodie. Here are the line drawings and sizing chart. I made a kid version too for my daughter. Of course, since there are two of them I will have to make another one. Pattern Description: Small details make a big impact on this blouse. The gathered collar and rounded, pleated pockets furnish that certain special something.Added by me: All of that and princess seaming, topstitching, and flouncy cuffs. Did it look like the photo/drawing on the pattern envelope once you were done sewing with it? Yes it does. They used a monochromatic flavor while I used variegated thread and contrasting buttons. Were the instructions easy to follow? Hee hee. I have learned with Burda that it is more of a learning experience than a "guiding light". I had a lot of difficulty following the directions for the cuff so I gave up and did it my way (see below). The other parts of the blouse are pretty easy to assemble. What did you particularly like or dislike about the pattern? I'm not sure I'm in love with this top. I like it. I really like the details although they added a lot of time to construction. The pockets are cute but I had to change the pleat a bit and make it an overlap. I do have some issues with the facings. The facings on the back and neck want to pop out. I have not tacked it down but I will tack it to the princess seams and shoulder seams. This will help but will not solve the problem totally. I did not understitch the entire collar because it folds down and people would see it. I did understitch the back section. Fabric Used: This is a stretch poplin from Fabric.com. I really like the color but I think I'm a bit burned out on it because my Wardrobe Contest things were mostly brown. I used variegated Maxi-Lock thread for all the topstitching. It is Mocha Blast or some other coffee-esque name. It is tan, brown, and burgundy. It is pretty fun thread. I did the buttonholes, topstitching, pockets, and narrow hem cuffs with this thread. I'm not sure I like it on the buttonholes. On the princess seaming, I doubled up the thread so it would really stand out. Pattern Alterations or any design changes you made: I made no alterations to this top. I wanted to see if a straight Burda size 36 fit me. I think it fits okay for not doing any alterations. I will probably do a little shortening between the shoulder and bust and a little lengthening for a long-ish torso. But, it is good to know that this size 36 fits me pretty well. I did change the cuff quite a bit. I couldnâ€™t figure out what Burda wanted me to do so I did it my way. I sewed the cuff band onto the sleeve and sewed the flounce onto that cuff band. I finished the edges of the flounce using the narrow hem on my serger. I put the variegated thread in the upper looper. I really like how it turned out. I changed the differential on the serger so I would get just a touch of lettuce edging. I am not sure, according to the directions if this is supposed to be a functional button or not. To finish the edges of the cuff, I sewed the edges together. So my version is not a functional button. Would you sew it again? Would you recommend it to others? Maybe I'll sew it again. I am only so-so on it. The collar is quite dramatic when it is up. If this was a different color than my hair, you would really think I was Cruella Daville. As it is, it kind of blends in with my hair and skin tone. I recommend it to people who want a dramatic collar. Just make sure you do something about the facings. I am still figuring that one out. Maybe next time I'll just do a full facing and connect it to the princess seams. Conclusion: Lots of time and attention to detail make this cute top take a while. Play with your topstitching to figure out what you want it to look like. I finally chose the center rust-colored one. I feel like I've run a marathon. Here's a sneak peek of what I just made. Review coming tomorrow. My inspiration for this cuff is Paula's beautiful picture of her cuff. So, yes I am a winner. However, this Patrones is made especially for tall (or maybe Plus-sized? I don't read Spanish) women in the size 40-48 range. Drat. I'm more of the 34/36 range. Oh well, looking at the patterns is great. I don't think there are any that I love so much as to go through the pain of reducing a certain pattern by two sizes but maybe. The book is from October 2005 so there are lots of coats, jackets, and pants. Perfect for me, just too darn big. Also, I bid on a April Burda magazine on eBay. In the last few hours, someone outbid me. I like the April one but don't love it. I will be getting the May one for sure. Have you seen some of the super cute patterns in the May magazine? 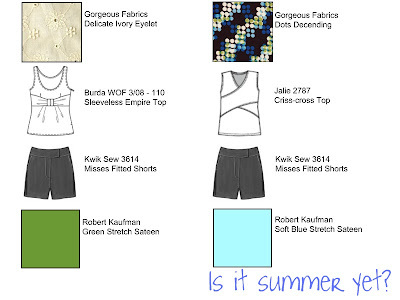 Oh, and here is a question for you Burda-fans. Why are there 8 issues? Which months do they skip? So far there has been a January, February, March, April, and May. Do they do a "special" issue so skip a few months or how does it work? Here are a few of the May patterns I think are cute. This is what I've been doing this weekend. My husband is going to go bear hunting in Kodiak next week and requested two more of these wicking, 100% polyester shirts. There is a smaller one on top. I had several large scraps so I made the "Hunter Boy" another camo one too. This is the tag I put in the small one. Now, I can give you all a low-down on the differences between Burda and Patrones. I've never seen one so I hope it is in English. If not, I'll have to get by with my wits alone. I'm excited because I never win anything!!! This is the vintage vogue pattern I have been working on. Bet some of you thought I had given up eh? Not me, not that easily. I think I got all the fitting issues resolved but I hate it. Fit? Love it. Fitted without being too fitted. Shoulder/sleeve dart? Turned out really well. Wool crepe? Love working with it. Color? HATE IT. HATE IT. HATE IT. I think this one is a wadder. I'm not going to do anything with it yet but what do you ya'll think? I added different belts to see if that helped with the blah factor. I put on colored tights so my whole body was not one huge khaki creation. The black fuzzy at the arm is the lining. I haven't hemmed it yet. Purple looks bad. One problem is I can't figure out whether this is a brown or a grey. Do I wear brown shoes or black ones? I have a rule about wearing brown shoes with black/grey things and vice versa. In these pictures it looks khaki brown. Solid colored belt or patterned belt like this one? I don't like any of the options!!! I need color around my face but, as a science teacher, I don't wear scarves or big necklaces. Too many opportunites to catch on fire. What sort of non-frilly colorful embellishment can I add? I was recently reading Lindsey T's blog and her trim shopping. I wish . . .
Awwww, Thanks Charity . . .